When NASA’s Asteroid Redirect Mission (ARM) launches next decade, the flight will not only be tasked with bringing a piece of an asteroid to lunar orbit, but also with testing vital planetary defense options that could enable the deflection of a collision-hazardous asteroid away from Earth. The need to protect Earth from potentially dangerous asteroids is not a new concept or understanding. Until recently, however, numerous technological barriers stood in the way of proceeding forward with detailed plans to execute a planetary defense mission against an asteroid should it be necessary in the near-term. One of those primary barriers was the technology, resources, and time needed to scan the solar system to detect Near-Earth Asteroids (NEAs) and monitor them for long enough periods to discern their orbital parameters as well as their size and mass. 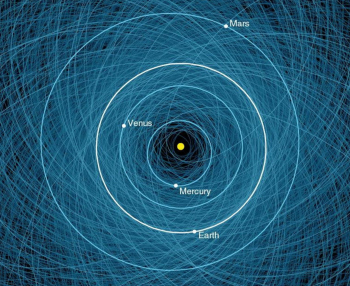 Now, with a growing catalog of NEAs – established in no small effort by the European Space Agency’s (ESA’s), Japan Aerospace Exploration Agency’s, and NASA’s drives to send probes to close by asteroids for sample return and characterization missions – our understanding of the real time threat posed to Earth by these asteroids is becoming slightly clearer. Nonetheless, the threat Earth actually faces from potential asteroid collision is nowhere near certain. Every day, small pieces of rocky debris pelt the Earth, though most are small enough to burn up completely in the atmosphere. However, some small pieces of asteroids, called meteors in the atmosphere and meteorites when they reach the ground, make it to the surface of Earth. The most famous asteroid in history is perhaps the one from the Chicxulub impact event, which – 66 million years ago – triggered massive changes in global climate and precipitated one of the great mass extinction events in Earth’s history. Moreover, the Tunguska event in 1908 and the unforeseen February 2013 explosion of a meteor in the sky over Chelyabinsk, Russia, offer the two most recent and highly visible reminders of the danger asteroids pose. Perhaps the most important aspect of the ARM mission is not its ability to pick up a boulder from the surface of an asteroid and place that boulder in lunar orbit but instead its ability to test planetary defense mechanisms against potentially hazardous NEAs. To this end, part of the ARM mission will provide a target to allow NASA to conduct a demonstration of planetary defense capabilities. Under this aspect of ARM, the planetary defense demonstration would take place in 2024, assuming a No Later Than December 2021 launch date for ARM, and would occur after the characterization and boulder capture objectives of the mission. To ensure the planetary defense aspect of the mission, NASA has been in close collaboration with the Small Bodies Assessment Group (SBAG). Earlier this year, the SBAG released their initial findings regarding ARM, noting that “SBAG continues to appreciate NASA’s efforts to engage and communicate with the planetary defense and small bodies science communities regarding the ARM. Part of the priorities identified by the Decadal Survey revolve around planetary defense. Specifically for the SMPAG, the planetary defense demonstration should not test new methods of asteroid deflection but rather significantly increase “confidence in the viability of a proposed technique to deflect an asteroid from an impact trajectory. This second qualification, notes the ARM presentation, specifically encourages the use of a kinetic impactor demonstration on ARM – though this is unlikely given a preference for a gravity tractor demonstration and the upcoming NASA-ESA kinetic impactor-specific mission. The SMPAG, however, notes that the kinetic impactor technique is the most mature method of asteroid deflection currently available to the world’s space agencies, and thus a great deal of practical data and knowledge would be gained from this kind of demonstration on ARM. 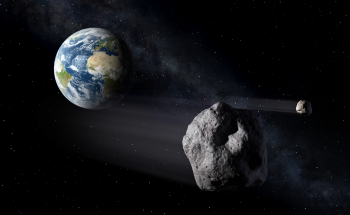 For the kinetic impactor method, a relatively high-mass object (in relation to the target) would be flown into an asteroid to essentially kick it out of the way of collision with Earth – if it were an asteroid headed for the planet. The goal for this type of deflection technique would not be to shatter an asteroid into thousands of pieces – as seen in movies, as this would simply create thousands of hazardous pieces instead of one – but rather to kick or punch it with a single thrust into a different orbit. 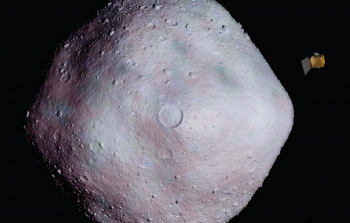 For this type of demonstration on ARM, a kinetic impactor prototype would be flown into the target asteroid with follow-up measurements to determine how the asteroid’s orbit changed both in the short-term and in the long-term by the impactor. 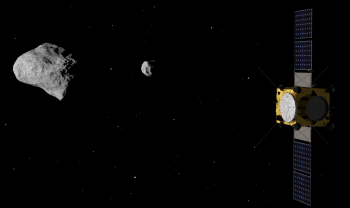 However, the gravity tractor method of asteroid deflection is already in the planning stages for ARM and is the much-more likely candidate for demonstration on this mission. While this method of deflection is not as mature as a kinetic impactor and would require significant durations at the potentially hazardous asteroids to yield orbit-changing results, it is nonetheless a viable method of gravitationally pulling an asteroid into a non-threatening orbit without actually contacting the NEA. 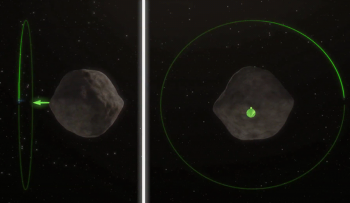 Under this scenario for ARM, the robotic spacecraft would collect a boulder from the surface of the target NEA to increase its mass and then spend a good portion of time near the surface of the asteroid. Once in this position, the asteroid and the ARM robotic spacecraft would be gravitationally attracted to each other – with the higher gravity force of the asteroid essentially pulling the spacecraft toward it. However, the ARM spacecraft could counter this force by firing its ion engine (Solar Electric Power – SEP – engine) to pull the asteroid toward the spacecraft instead of the spacecraft being pulled toward the asteroid. Over a period of time, this influence on the asteroid would allow the ARM robotic spacecraft to pull the asteroid out of its natural orbit and into a different, stable orbit. 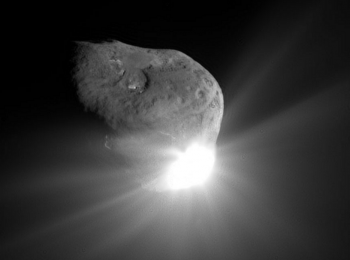 Moreover, ARM’s planetary defense aspect provides the unique ability to collaborate with the NASA-ESA Asteroid Impact and Deflection Assessment (AIDA) mission. 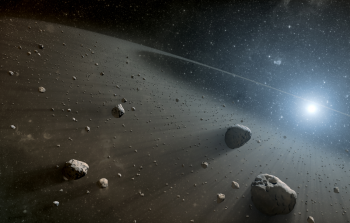 According to the ARM presentation, “The joint NASA-ESA AIDA mission will measure the effect of a kinetic impactor on a moon of a binary asteroid. 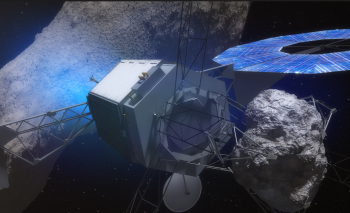 In essence, both of these missions can work together to significantly increase the scientific benefits of asteroid deflection options and are representative of how space agencies can build confidence in deflection technologies by merging the two interests. However, while ARM and AIDA could demonstrate our ability to deflect NEAs, the capability to carry out such an operation when needed is completely dependent on our ability to find a potentially hazardous asteroid in enough time to mount such a mission.